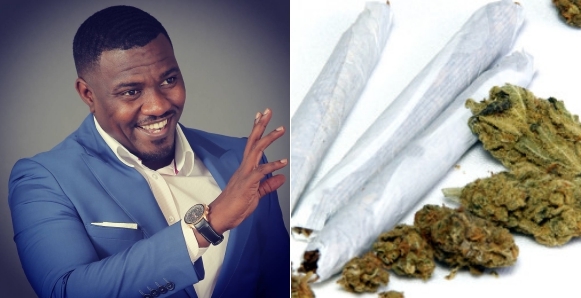 Actor John Dumelo has thrown his weight behind the growing campaign to have marijuana legalized in Ghana. The actor who is also an aspiring politician gave his opinion concerning the issue on a TV show hosted by actress Yvonne Okoro. In the show, Dining with cooks and braggarts, John Dumelo stated that if substances like alcohol and cigarettes are not illegal, marijuana also ought not to be illegal. He further stated that the drug should be legalized so that government can generate revenue from taxing it. He cited countries such as the Netherlands and States in the USA e.g Colorado and California, who have the drug legalized. According to him, those places have proven that marijuana usage doesn’t increase the rate of crime. Yvonne Okoro countered his claim by pointing out that those countries have strong institutions that help curb crime. John Dumelo however advised Ghana to also set up such institutions.